Want to save money buying gifts this year? Giving gifts throughout the year can get really expensive -- so you'll want to take a look at our favorite ways to save money on gifts for all occasions. Before you buy someone a gift, read through these clever gift-giving tips. What is the best day to laundry? Go to a theme park? Weigh yourself? Find a job? Buy a house? 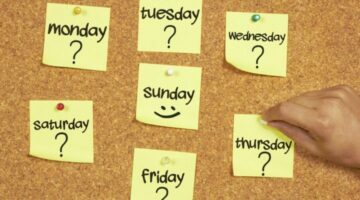 Here you will see the best day of the week to do practically everything — from shopping and buying things to selling and starting things. Before you tackle your next big activity, start here to see the best day to do it! Whether you’re looking for a gift for your boyfriend, your husband or some other friend or family member, I’ve got 10 stylish ideas that would make great gifts for men! I’d be thrilled to receive any ONE of them! I’ll help you step outside of your comfort zone a bit to find something that plays to the guy’s own personality and sense of style. Many parents swear by the Baltic Amber teething necklace. As a first time mom, not knowing what to expect, it appears the Baltic Amber necklace is working because he teethes with very little fussing AND he has never once had a fever! 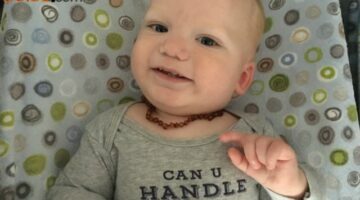 Here’s how a Baltic teething necklace works, plus some things you should know before trying an Amber necklace with your baby. Before buying personalized koozies with our business logo on them, I did an exhaustive search of all of the different can koozies, bottle koozies, water bottle koozies, and custom koozies I could find. Here’s everything you could possibly want to know about all the different types of koozies – including some of the most clever koozies that exist right now. Before you order bottle koozies or can koozies, read this first! A first time mom shares her top 10 must have baby items. Wondering which baby things you’ll really need? What should you put on the baby registry? I’ve used these unique items almost daily in the first 6 months my baby’s life! Worried about your old gift cards becoming obsolete before you use them? I’m guilty of holding onto them longer than I should, and some of the retailers have gone out of business now. Here’s everything you need to know before you buy gift cards. Online gift card exchange is also gaining popularity — here’s how to do it. Need Mother’s Day brunch ideas for the Brentwood mom? What about Mother’s Day gift ideas? Here’s a list of fun and easy things to do on Mother’s Day in the Nashville and Brentwood, Tennessee area. Photo Stamps: See How To Make U.S. Stamps With Your Photo On Them! Did you know that you could put your own personal photos on U.S. postage stamps?… It’s true, you can create your own personalized photo stamps and use them for sending packages and letters to your friends and relatives. These also make great novelty items for wedding invitations & thank-you’s, birth announcements, and more! If you’re wondering how to save money for a house, I’ve got some simple and fun ideas for you! These ideas worked for me: turn your hobbies into money, use cash instead of credit cards, sell your old stuff, and 6 other great tips to try when saving money for a house. Think outside-the-box and start putting money aside for your down payment and closing costs on your first home. 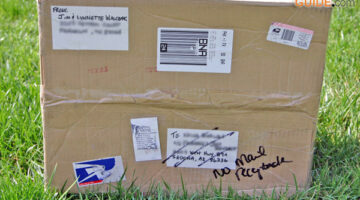 In order to prevent others from senselessly spending too much on postage (we spent $15… twice! ), take it from me, it MATTERS whether you use someone’s post office box versus their physical street address when sending something through the mail. Here are my tips for shipping via USPS, FedEx, and UPS — so hopefully you won’t have to learn the hard way like I did. There are lots of creative and useful gifts you could get the photographer on your list — even if they only take pictures casually or with their phone. Here are the best and most practical photo gifts, in my opinion.